I have absolutely no experience with a sewing machine. Don’t own a machine. Never been inside a fabric store. This creative, crafty subject matter is absolutely foreign to me. 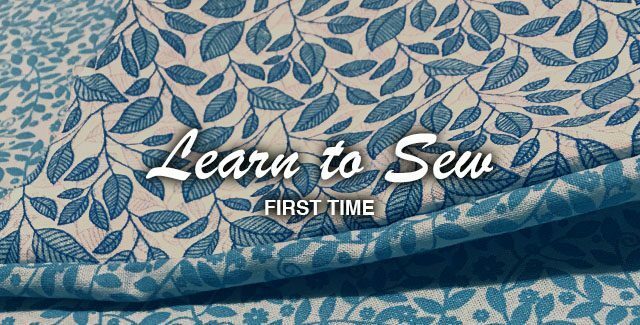 I’ve been searching for sewing classes but all have skipped to projects that assume you are already familiar with a sewing machine, so when local Jo-Ann store scheduled a Beginner Basic Learn to Sew class, I was in! Best of all, they provided the sewing machine. In this case, I learned to use the Husqvarna Viking – Emerald 118. They can come in assorted sizes. The smaller the needle number the thinner the fabric. We practice cutting scrap fabric then use the scraps to make sure we threaded the machine correctly by doing a few practice stitching. We switched Stitch Length / Spacing from 1, 2.5 and 4. I really like the look of 2.5. Setting 1 you really have to guide the fabric straight and smoothly as you see ever hiccup. We set our Tension = 4. 5/8” is the standard seam allowance for sewing apparel. We used painter’s tape as a guide for the 5/8” mark. We’re going to iron out the wrinkles before sewing. I guess… eventually… I’ll need to by myself an iron. Trim any extras without cutting the stitches. Cut the corners then pull the fabric inside / out. Special Kudos and many Thanks to our Learn to Sew Instructor – Elana Dillon – at Jo-Ann’s Brandon, FL location. She was so patient and educated us on alternatives to tools/accessories to save us money. QUESTION: If you know or wish you could sew, what type of sewing projects would take up your days?